The Swedish artist's retrospective "Paintings for the Future" comes to the Guggenheim in New York this fall as her first solo exhibition in the United States. 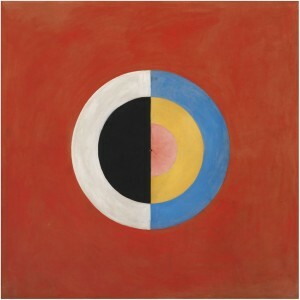 The first abstract modernist, Hilma af Klint was a visionary painter whose imaginative works predated her famous contemporaries, such as Wassily Kandinsky, Robert Delaunay and Piet Mondrian. Born in 1862 in Stockholm, Sweden, she was educated in the classical tradition and was well known for her portraits and landscapes. A later interest in spirituality inspired her to compose canvasses that were infused with geometric forms, vivid colors and dramatic patterns. Her striking artwork expresses a vision of non-figurative art that was ahead of her time and establishes her as a pioneer of abstract art. 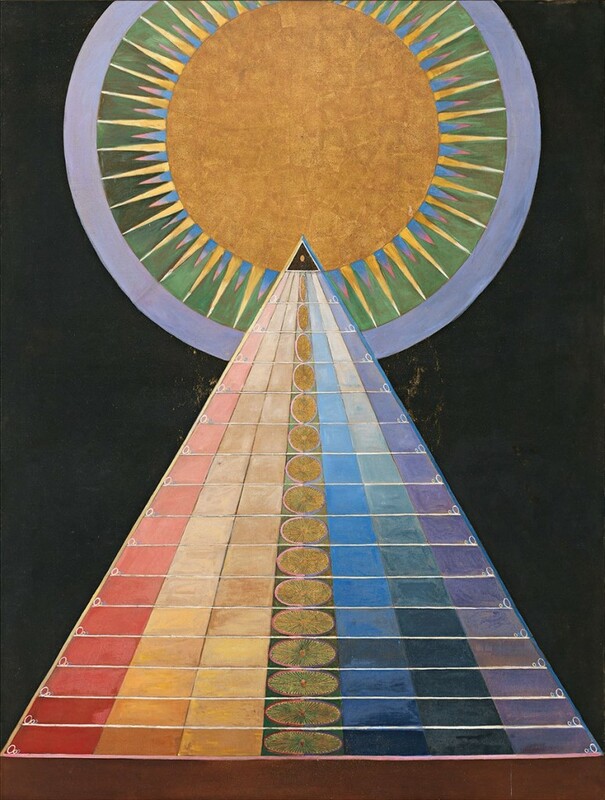 In the beginning of her abstract period, Hilma af Klint was part of a group called "The Five," five female artists who delved into spirituality to influence their art. Later, her art reflected the tenets of theosophy and anthroposophy, religious systems of transcending the physical world to reach a higher form of enlightenment. Unsure of how these paintings would be received or understood, Hilma did not display them and even requested that they not be made public until 20 years after her death. 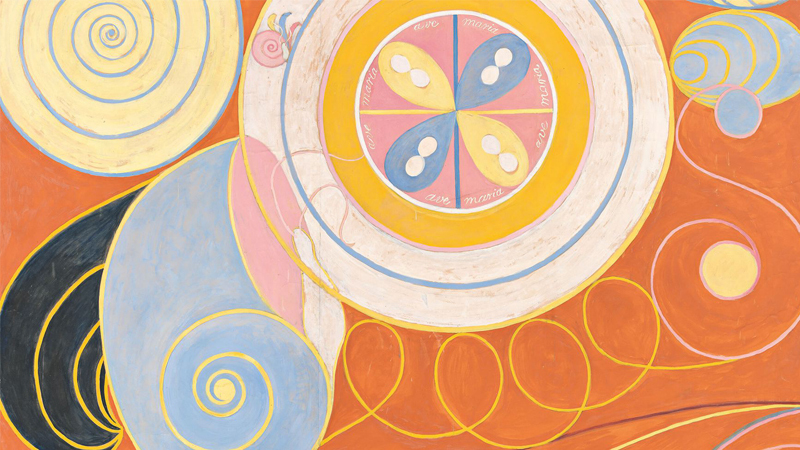 It was not until 1986 when Hilma af Klint's abstract compositions came into the public sphere with the inclusion of her works in a Los Angeles County Museum of Art (LACMA) exhibit. Critics immediately drew parallels with the works of famous 20th century modernists; however, she began these abstract artworks in 1906, before the modernist movement took hold in the rest of Europe. 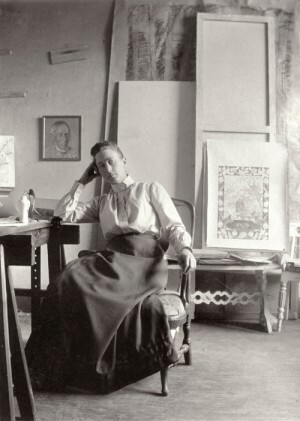 Today, all 1300 of her radical abstract works along with her sketchbooks and notebooks are owned by the Hilma af Klint Foundation in Stockholm and are loaned to exhibits across the world. As Hilma af Klint's work has become increasingly included in the modern art canon, she can be considered the first abstract artist who embraced the concept of non figurative depictions using a vibrant color palette. Her experimental compositions have marked her, in retrospect, as an early founder of the 20th century modernist movement and one of the most innovative female artists in history. 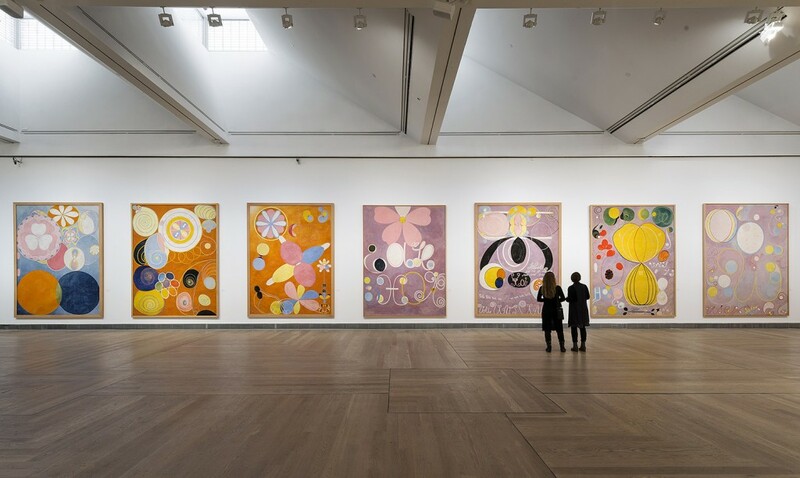 The Hilma af Klint exhibition at the Guggenheim Museum of Art in New York will be on display from October 12, 2018 - February 9, 2019.